The relationship between you and your therapist has proven to be the most important element of healing. My therapy style is authentic, collaborative, and strengths-based, assessing the needs and style that will best serve the individual person. My strengths-based therapy focuses on the inherent strengths and skills that people already have, and uses it as building blocks for future success and problem-solving. Instead of just focusing attention on the problem or using language that stigmatizes or makes people feel like a victim, a strengths-focused approach empowers people by drawing attention to the positives that already exist within and around them. This approach dictates that people aren’t defined by their problem, diagnosis, or illness. Instead they are defined by their capacity for growth and change. I offer reflection and validation that can illuminate your strengths and support you to make changes in life. I believe that each person is unique and my style of treatment caters to their needs. I am positively focused to help the person move forward in a productive way with their life, and past their current obstacles. I have spent 6 years working in community mental health which has given me a great deal of experience working with clients with severe cases of depression, and anxiety. I have had the opportunity to work closely for Victims of Crime utilizing the evidenced based modality Trauma Focused Cognitive Behavioral Therapy for those who struggle with past trauma and abuse. As a former therapist for the Los Angeles Drug Court system, I know that many people who develop an addiction have done so based on a past trauma. Within this time, I have worked with families to help them restabilize and reconnect. If you are a struggling parent, you may find reassurance in my ability to help you restructure your family and address relationship issues based on current needs. I am a strong believer in mindfulness based practices and cognitive behavioral therapy to help you meet your goals. Mindfulness can be used to increase self awareness in many areas of life and CBT provides a simple framework in which the client can grasp inside and outside of session. I respect your willingness and determination to seek services. Your treatment goals whether long or short term will be made my priority. It takes courage to seek a more fulfilling and happier life and to take the first steps towards change. If you are ready to take that step I am here to support and empower you. I love what I do and I hope to meet you. Malayshia is a calm, listening and hopeful spirit. I would recommend her to anyone that wants a better life and mindset for themselves. Malaysha really helped. My communication and perspective on some of my relationship concerns has improved a lot because of her, and she's helped me with very constructive ways of processing and addressing my relationship needs. She listened at the right times, validated at the right times, and gave advice at the right times. She's a gifted and caring therapist and I'd recommend her to anybody. She’s attentive, helpful, and always checks in. Malaysia is very good at giving advice and checking in with me. She is the type that won’t give up on you. Malaysha is a great listener. It feels more like you’re talking to a friend rather than a counselor except this friend is very supportive and gives sound advice. I’m very happy she’s my counselor and she has changed my life in many ways by seeing things more rationally. I’m very thankful to her. She is understanding and thoughtful; she poses great questions and I am already feeling better after a few of our chats. Malaysha was extremely responsive and helpful during my time in need of counseling. She was very compassionate and understanding and gave productive feedback. I always felt supported and safe, to be honest with my issues. Malaysha has been great at offering alternative methods to avoid my problematic behaviors, and that has been very refreshing. I love how promptly she responds to my messages. She also checks in every week if she hasn’t heard from me - I find that very helpful especially when I get busy. I also like that she suggests things I can do to help me with my anxiety. I was against getting therapy for so long and was very skeptical that BetterHelp would work for me, but Malaysha has been so understanding and asks really good questions that I never thought to ask myself. Having her to talk to when I'm having a hard time dealing with my problems has been a huge blessing during this time of my life. Malaysha is a very very sweet woman and helped me so much in life. After the loss of my fiancé I didn’t think I would be about to talk to any counselors but then I saw this site. It asked me my preferences and Malaysha was a perfect fit. I’m so glad I got her and these sessions are worth every penny. I can tell she really does care. I need that. Malaysha Castillo is a phenomenal counselor. She helps me to break down various emotions and feelings. She challenges me to understand my behavior and actions. She has truly been helpful in getting me through this difficult time in my life. Malaysha is wonderfully understanding, charming, and smart. Not to mention patient! She is really helping people. Malaysha is incredibly respectful and positive, she actively contacts me to check on my mental health and I love that she is so caring and understanding. She certainly helps me a lot. I am currently out of touch online so I cannot wait to be able to talk with her again and start using her techniques and applications to grow mentally and physically. Really supportive and helpful in putting an action plan together for me based on our discussion. Malaysha comes across as an understanding and compassionate person. Malaysha is the best! She is always there for me and always has the absolute best advice. She is helping me grow more than I ever could have hoped for! 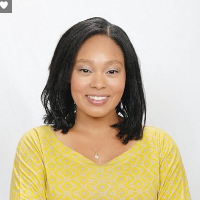 Would you like to write a review for Malaysha Castillo? We'd appreciate if you can spend a couple of minutes to write a short review for Malaysha Castillo (LMFT). This review would be shared with Malaysha Castillo. It may also be posted in our website or in Malaysha Castillo's profile but it would be anonymous and your identity would be kept completely confidential.